Dunlop are debuting a new demonstration trailer at Professional Builder Live in Manchester from 15th-16th March at Events City. Dunlop LX-360 Fibre Leveller – fibre-reinforced self-smoothing levelling compound for use from 3mm to 60mm bed depth. Tile on in 3 hours. Dunlop Large Format and Natural Stone Tile Adhesive – a pourable tile-bed tile adhesive for floor tiling inside and out. Use up to 25mm for natural stone, terrazzo and porcelain tiles. Dunlop Shower Waterproofing Kit – an ideal waterproofing systems for showers and wetrooms. Dunlop GX-500 Flexible Grout and FX-90 Silicone Sealant – flexible floor and wall grout in eight colours and matching silicone sealant. 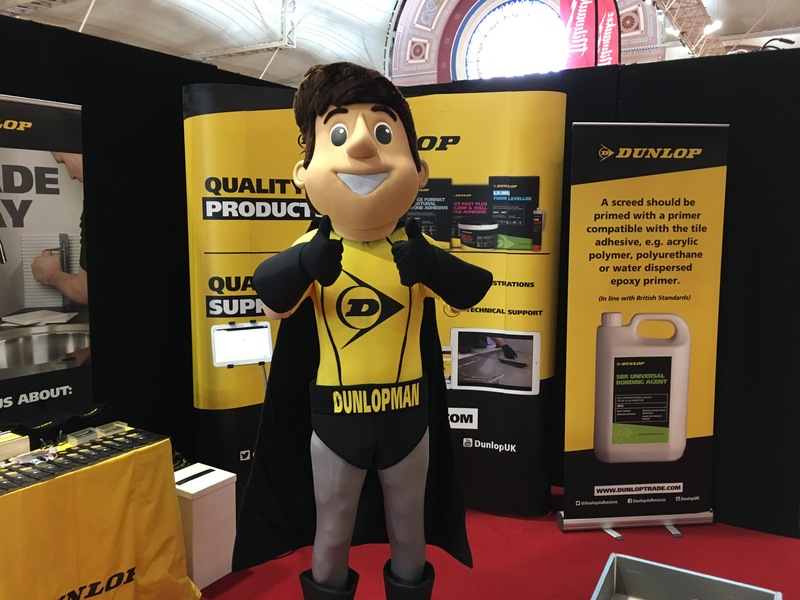 Debi Boulton, Sales and Marketing Manager at Dunlop said: “Our new demonstration vehicle gives tradespeople the chance to see our innovative tiling and flooring products in action and have a go themselves! Based in Stoke-on-Trent, Dunlop prides itself on offering product solutions that combine technical quality with exceptional ease of use, whatever the project.